One of art's purest challenges is to translate a human being into words. The New Yorker has met this challenge more successfully and more originally than any other modern American journal. It has indelibly shaped the genre known as the Profile. Starting with light-fantastic evocations of glamorous and idiosyncratic figures of the twenties and thirties, such as Henry Luce and Isadora Duncan, and continuing to the present, with complex pictures of such contemporaries as Mikhail Baryshnikov and Richard Pryor, this collection of New Yorker Profiles presents readers with a portrait gallery of some of the most prominent figures of the twentieth century. 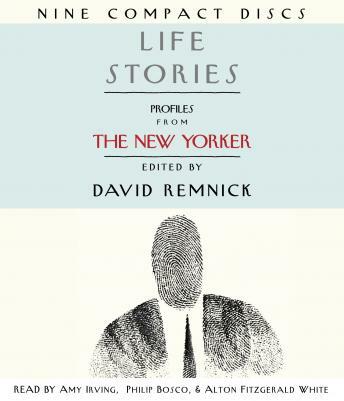 These Profiles are literary-journalistic investigations into character and accomplishment, motive and madness, beauty and ugliness, and are unrivalled in their range, their variety of style, and their embrace of humanity. “White Like Me” by Henry Louis Gates, Jr.